The Yellowstone River, which runs through the national park, has been closed to all fishing and recreation on the Montana side after a historic fish kill that could see tens of thousands of dead fish. 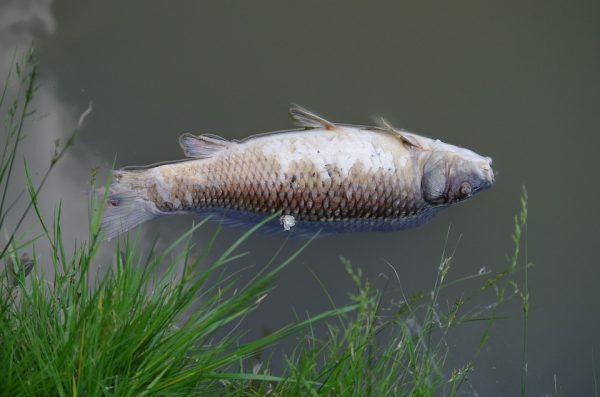 The massive die-off in recent weeks has been caused by a parasite that’s not native to the area, but has been seen in Oregon, Washington and Idaho. It either found its way into the river from a bird or a boat from another location, which prompted the wildlife officials to close the river. Fish, Wildlife and Parks spokeswoman Andrea Jones told the Associated Press the fish kill was unprecedented. “We haven’t seen something like this in Montana,” she said. So far roughly 4,000 fish have turned up dead, but biologists estimate it could be tens of thousands. The closure is meant to limit the spread of the disease, which is harmless to humans. Most of the affected fish so far have been mountain whitefish, but reports are coming in that it may be reaching rainbow trout and even the Yellowstone cutthroat trout, two species that attract anglers from all over the world. Scientists say the parasite has been made worse through lower water levels and that activity on the river such as fishing and rafting puts further stress on the fish, making the effects of the parasite worse. Even after the parasite subsides, which won’t likely be for several months when the water levels rise and temperatures drop, the economic effects may be longstanding, with river guides concerned about the potential impact. On the Yellowstone, all activities such as fishing, wading, floating, boating and rafting have all been banned with any activity on the southern section of the river within the park under stricter enforcement. For more information about the restriction click here.